Disney Interactive has announced the launch of the newest content update in Star Wars: Commander, the popular base-building combat game on mobile devices. Titled “Secret Alliances,” the limited-time campaign will see players fighting for the fate of Er’Kit in a new storyline. In addition, new gameplay features have been introduced to the game, including traps and contraband. In this Secret Alliances update, players will complete battles for a chance to win the game’s original character, Johhar Kessen, as a hero for their game. A former senator, Kessen comes with a sniper blaster, which deals hefty damage to “soft targets.” On the other hand, while he has a greater attack range than many defenses, his ability to damage them is low. As Star Wars: Commander allows players to back either the Rebel Alliance or the Galactic Empire, the rest of this feature’s rewards are specific to either side. Players backing the Rebels can win the A-Wing Starship Strike and the HWK-290 Starship Strike, while those supporting the Empire can receive the TIE Advanced Starship Strike and the VT-49 Decimator Starship Strike. The first unit of each pair is effective at eliminating shields, while the other is most effective against infantry units. An additional part of this content update sees two new gameplay features introduced to the experience. The first is a new currency called “Contraband.” Gamers will be able to unlock a powerful new unit for their armies, and then level it up using this new currency. The other feature introduces traps as a defense mechanic. Players will be able to surround their base with traps, which will activate appropriately when the base is attacked. Afterward, players will need to spend currency to recharge the traps before using them again. 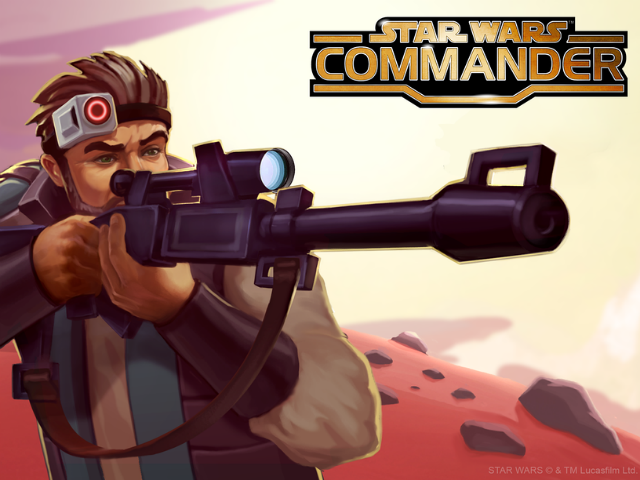 Star Wars: Commander is available to download for free on the iTunes App Store, Google Play and the Windows Phone Store. The game was released in August 2014, and passed five million downloads within its first month of release.